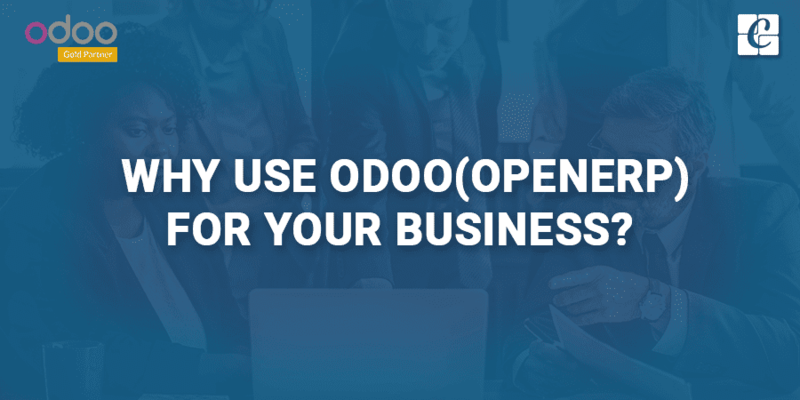 Why Use Odoo(OpenERP) For Your Business? Open ERP for a business: How to get the right Open ERP implementation? Enterprise Resource Planning, popularly called ERP serves as the backbone to any corporate-scale/ small-scale businesses. No matter how complex or big/small your business is, an ERP efficiently and effectively manages the overall task of the business. It is moreover like a trendsetter that generally, big businesses opt for major ERP service providers like SAP, Oracle or Microsoft Dynamics because of its efficiency. But efficiency doesn’t alone can’t beat the heat. Investment is a huge and crucial factor for any business. The fear of investing a large amount on a software application, often troubles the business organizations, leaving them confused whether or not to deploy an ERP application. This is the most common problem with an ERP implementation. Providers like SAP, Microsoft Dynamics or Oracle may offer comprehensive and attractive features, but at the same time, they charge you with a huge sum of money in licensing, implementing and future maintenance of software. This can’t be favorable to many businesses, especially the small and medium scale businesses to invest in a vast implementation of their outcomes. An Open source ERP/ Odoo for business can play as an alternative solution to the above woes, saving the economy by limiting your resource flow. Open source ERP in Business saves you with a lot of money, leaving them for utilizing in future customizations and other essentials. Here are the benefits you can draw out of an Open source ERP implementation. > An open source ERP is economical. There is no license fee in Open source ERP as source code is publically available. This saves your business from paying a huge amount in the long run unlike the other commercial ERPs with expensive commercial databases and operating systems, which are no longer pocket-friendly. > An open source ERP is easy to customize. Thousands of developers potentially have the access and are working on the project worldwide. This facilitates the open source ERP with a high degree of customization giving birth to numerous custom features modules every now and then, helping business to great extent. > In open source ERP, there is no lock-in or dependency on the vendor. On the other hand, a proprietary software increases the risk of getting locked in either by the vendor or technology. This often results in huge loss of resources in the business. > Software upgrading is very important to remain abreast of latest modifications, especially in business software. An open source ERP system is easier and simpler to upgrade than any commercial ERP systems. In an open source ERP system, the upgrading is often carried out without any interruption of the main production system. > An open source ERP is tightened with high security. The constant monitoring of developers in open source ERP helps in the quick fixing of the security holes like bugs and defects. > The open source ERP solutions being openly available, it can be explored for free. It is much faster to investigate options in an open source comparing to others and also get right solutions off the ground. > Open source ERP offers high reliability as it’s a worldwide community supporting a code base, rather than one team developing a code on online forums, guided by experts. > Open source ERP gets with full visibility over the code base and discussions about how the community develops the features and address the corresponding bugs. On the other hand, a proprietary code is developed in secrecy may arise with unforeseen errors and other limitations. How to get the right Open source ERP implementation done? Firstly, opt for a company that has a strong track record of implementation and allied services. It’s very important that the partner you choose to work with is highly reliable and experienced in the field, then only you can derive the best result for your business. Secondly, choose the company that truly tailors an ERP according to your business needs. Different industries have different requirements and therefore the partner you choose must have a better understanding of the business verticals so that they get you with right ERP solutions. The more the application features in accordance with company needs, lesser will be the cost and time spent on it. Thirdly, make sure your service provider is self- sufficient in allocating the right amount of resources to handle an ERP implementation of your size. Also, make sure the application is also delivered on time. At times projects get stretched because of lack of communication. Make sure that your service provider gets you updated on every stage of ERP implementation. This is a key factor for a successful ERP implementation in your business. It is also very important that an ERP partner is able to modify the software application /implementation process in response to the new demands and be flexible in producing the necessary changes in the application upon changing circumstances. Lastly, and perhaps most importantly, make sure you understand your own requirements. While this has less directly to do with. the characteristics of the ERP implementation partner, it does in a more indirect sense: if you know what you’re looking for, you will most effectively be able to find the right person for the job. If you are looking for an Open ERP implementation partner, Cybrosys delivers you all allied services in Odoo right from Odoo implementation to customization and thereby support and maintenance for future needs. For more information or assistance, drop your message to info@cybrosys.com.